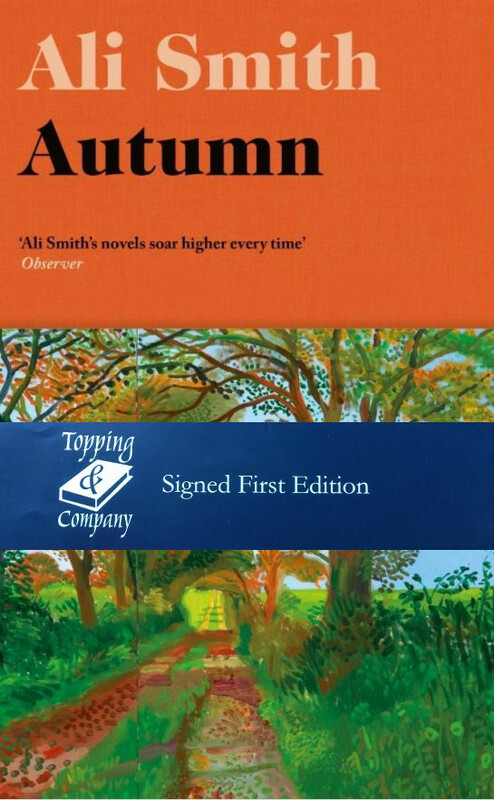 We were lucky enough to have a personal visit from Ali Smith who signed in our bookshop in November 2016. Long Listed for the Man Booker 2017 , Autumn is a breathtakingly inventive new novel from the Man Booker-shortlisted and Baileys Prize-winning author of How to be Both. Ali Smith’s new novel is a meditation on a world growing ever more bordered and exclusive, on what richness and worth are, on what harvest means. This first in a seasonal quartet casts an eye over our own time. Who are we? What are we made of? Shakespearian jeu d’esprit, Keatsian melancholy, the sheer bright energy of 1960s Pop art: the centuries cast their eyes over our own history-making. Here’s where we’re living. Here’s time at its most contemporaneous and its most cyclic. From the imagination of the peerless Ali Smith comes a shape-shifting series, wide-ranging in timescale and light-footed through histories, and a story about ageing and time and love and stories themselves. Here comes Autumn. If you wish to buy this book please ring the bookshop on 01225 428111.